"That’s not that bad," Sinclair said as he only needed an ace to secure a triple up. While the :::Kh:::9s:::3c flop and the :::7s turn were of no help, Sinclair indeed got there on the :::Ac river. 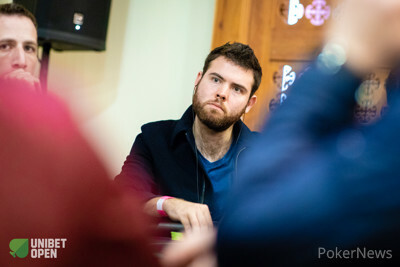 His friend Feargus Murphy leaned over from the next table and joked "some guys are just too lucky," and the 2018 WSOPE Main Event champion Sinclair jumped back to an average stack in the penultimate level of Day 1a.